James Allen Robinson was born in Greenville Tennessee on December 11, 1867. He died in Cincinnati, Arkansas on June 16, 1946 at the age of 79 and is buried at Wedington Cemetery, Arkansas. His parents were Allen G. Robinson and Laura Leming. His paternal grandparents were James Robinson and Mary Temple; maternal grandparents were John Leming and Rheuanna Henshaw. In 1894 James graduated from Tennessee College of Medicine. He had previously attended Tusculum Presbyterian College, in Greenville Tennessee. Throughout his education he worked as a railroad telegrapher at Greenville and Knoxville. 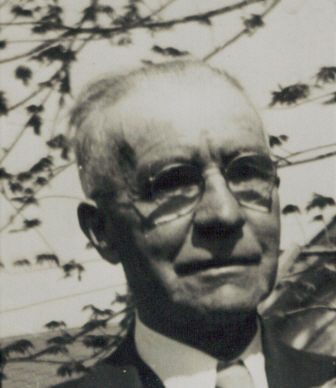 In 1895 he moved to Arkansas and established a medical practice that spanned 51 years. Dr. Robinson married Ida M. Davis soon after arriving in Arkansas. They had three children, two girls, Leona H. and Cholera M., and a son, Otis Allen. In 1901 the family lived in the Stillwell Indian Territory and later in Ingram and Del Rio, Texas apparently for Ida’s health. Dr. Robinson returned to Arkansas in 1903 where Ida died on March 12th at the age of twenty six. Six years later he married Susie Kimbrough from Dutch Mills. They had one daughter, Virginia. Dr. Robinson had business interest in the Dutch Mills Percheron Horse Company and served on its Board of Directors. He was active in the community as a member of the Cincinnati Masonic Lodge No.102 and served as Master in 1938. It is said that he and six others held the lodge together during the great depression. In the early years Dr. Robinson rode horseback or used a buggy to make home calls. Later he bought an early model car. At one time he broke his arm cranking his old Ford. In the last years when he couldn’t see well to drive at night, his daughter drove him as he was often called to deliver babies in the middle of the night. Reports of Dr. Robinson indicate that he was a dedicated physician and was particularly remembered for his kindness. Stories include: a forded creek during a flood to deliver a baby; payments for treatment that were often garden produce, wood or a pig to fatten for winter; a hard service croquet court which he built and maintained and gladly allowed children to use; a trip to the World’s Fair in St Louis in 1904. Dr. Robinson is remembered as a respected physician who contributed to the health care of citizens in small towns and rural communities of northwest Arkansas for more than half a century.